I had created this demo using Kinect and XNA. Now the XNA 3d car can be move using our Right hand. Few days back Microsoft had released Kinect for Windows SDK beta.Which allows developers to create Kinect Games/ Software for Windows platform. 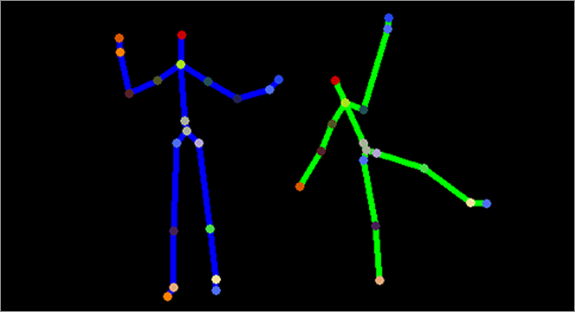 I`m also planning to do similar events about Kinect Development in the near future. 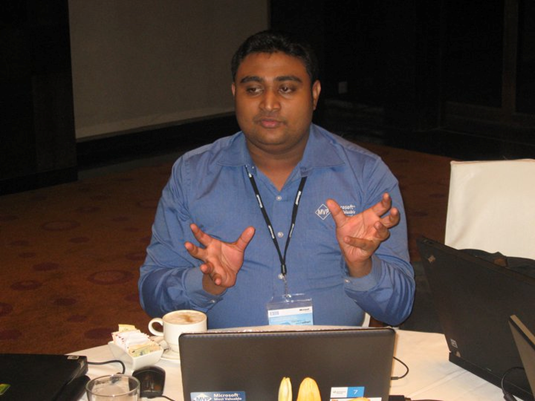 Sri Lanka .NET Forum Monthly Meeting. 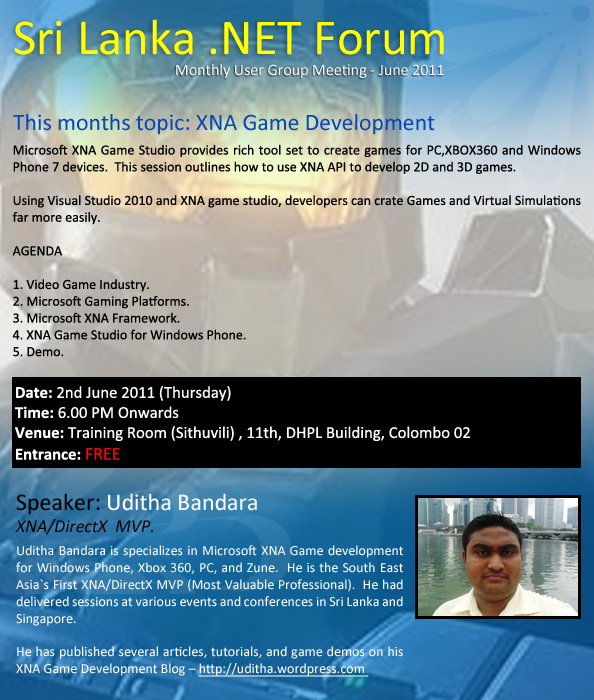 I had delivered a session about XNA Game development in Sri Lanka .NET Forum June Monthly meeting.It had reached 25 attendees. 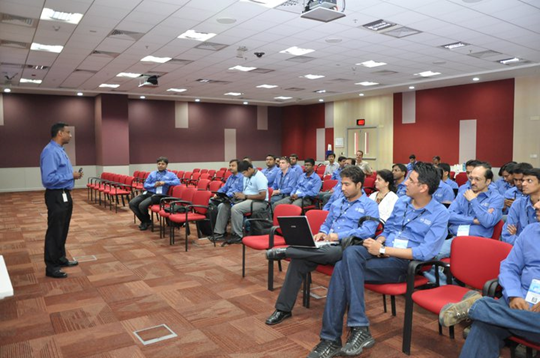 Microsoft MVP Open day at Hyderabad, INDIA [Event Update]. 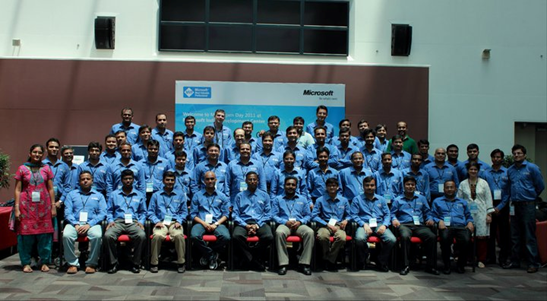 Keynote by Amit Chatterjee – Managing Director, Microsoft India Development Center. MVP Open day 2011 group. 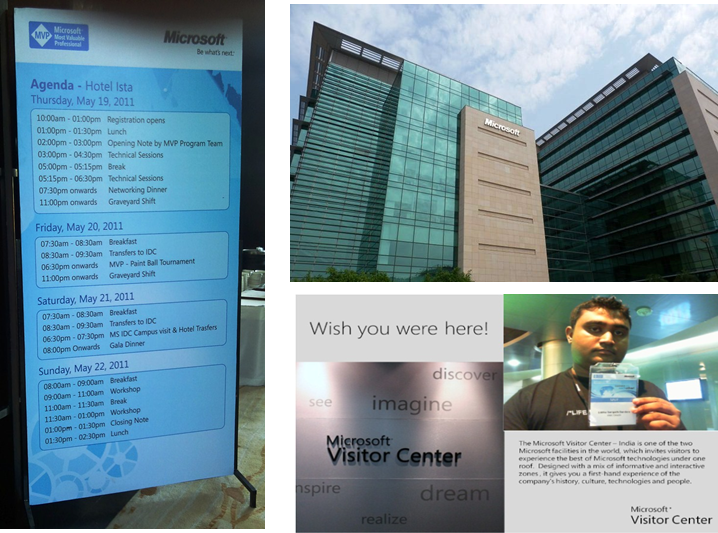 Meeting with Senior Program manager, Windows Phone 7 Developer tools MSIDC, India. I also got a chance to deliver a session at the open day Event in the graveyard shift section. My session is about XNA game development. 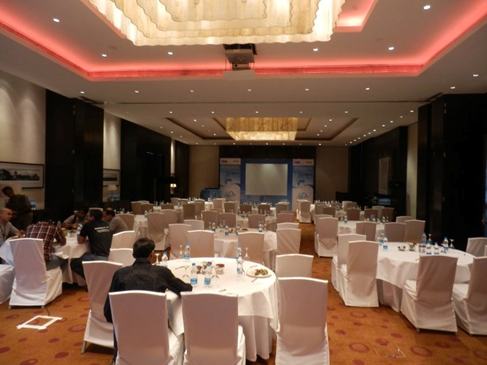 Lead INDIA Mr. Abhishek Kant event was come to an end. 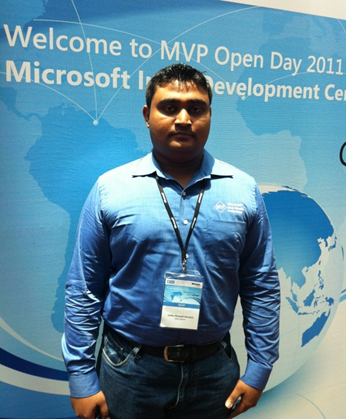 Overall it was a great event organize for MVP`s in the region. 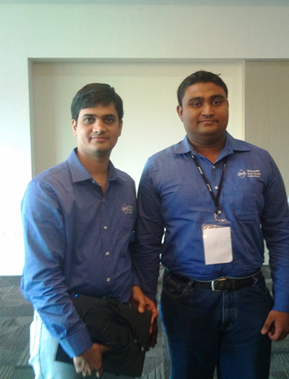 And had lot of knowledge and fun at the event. Its great to see more events like this in the future. 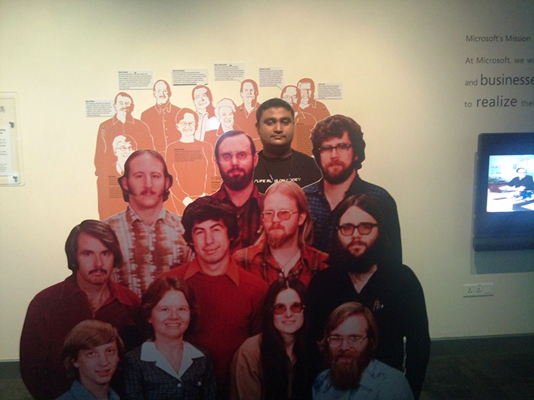 Microsoft’s founding employees 1975 .